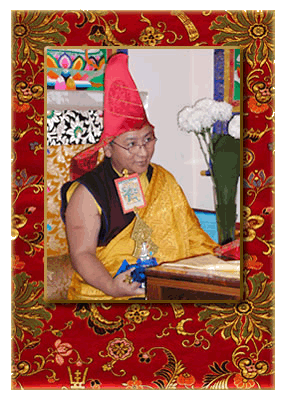 THE PRESENT, THIRD BARDOR TULKU RINPOCHE was born in 1950 in Kham, East Tibet. 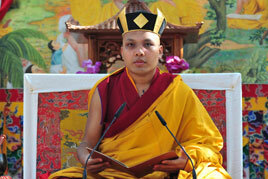 He was recognized by His Holiness the Sixteenth Gyalwa Karmapa at a very early age. Even after his recognition he maintained a nomadic life style with his family and Dharma tutor who were all constantly on the move with the yaks and dris that they grazed. Rinpoche was quite young when the family left East Tibet on a journey that took them first to Lhasa and then on to Tsurphu. 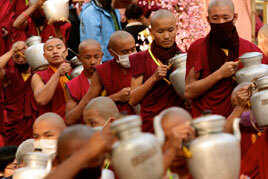 From there, they travelled to Drikung where they were to remain for several years at the home of his grandparents. 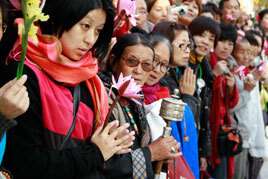 With the Chinese Communist occupation of Tibet, the political and social conditions worsened. Rinpoche's family, then a party of thirteen, set out towards India along with many other Tibetans who were also fleeing the fighting that was spreading toward them from Lhasa. They traveled through Kong Po and crossed the Himalayan mountain range, braved 17,000 foot passes, and then descended into the hot jungles of Assam, India. It was there, while in Pemakor near Assam, when Rinpoche was nine years old, that one after another of his family members died as they failed to adjust to the tropical heat. 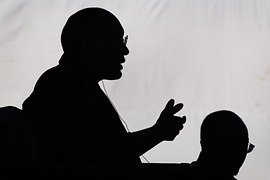 When his father, the very last member of his family, died, Rinpoche set out with a twelve year old friend and a group of other Tibetans who had also fled their homeland. At the township known as Bomdila, where the borders of Tibet, Bhutan and Assam, India meet, a bombing raid dispersed the group. 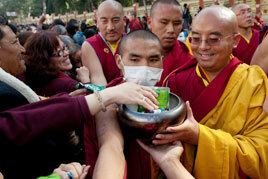 Rinpoche and his young friend fled the attack and walked continuously for a day and a half. 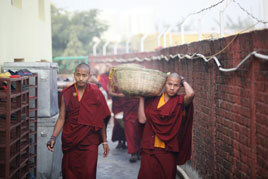 The two friends traveled westward along the border of Bhutan and India, through Gohat and Siriguri to Darjeeling. 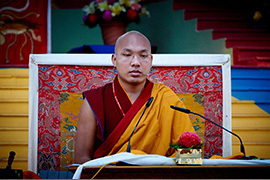 Upon arrival in Darjeeling, His Holiness the Sixteenth Karmapa was notified that Rinpoche had safely made his way out of Tibet. Filled with joy at the good news, His Holiness arranged for Rinpoche to be brought to Sikkim, and for Rinpoche's friend to be taken care of. 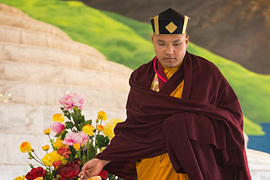 It was at Rumtek Monastery in Sikkim, under the tutelage of His Holiness Karmapa, that Rinpoche's formal training as a tulku began. 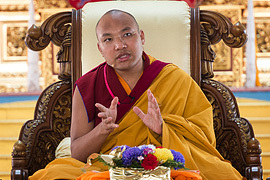 After completing many years of study and practice, Bardor Tulku Rinpoche accompanied the Sixteenth Karmapa on his world tours in 1974 and 1976. 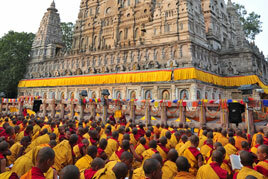 It was in 1977 though, that His Holiness asked Rinpoche to remain in New York at Karma Triyana Dharmachakra. 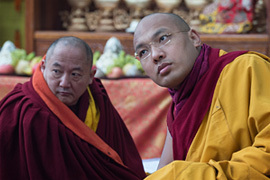 During his first two years at Karma Triyana Dharmachakra, Rinpoche worked side-by-side with the staff to renovate and winterize the house and prepare for the last visit to the West of His Holiness as the Sixteenth Karmapa. 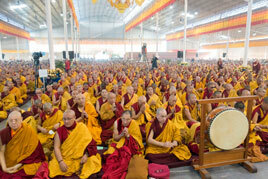 In 1980, during that last visit, His Holiness directed that His monastery and Seat in North America be established at Karma Triyana Dharmachakra, and performed the formal investiture. 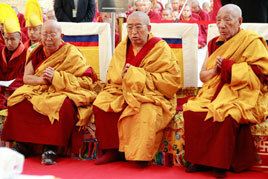 In 1981, His Holiness instructed H.E. 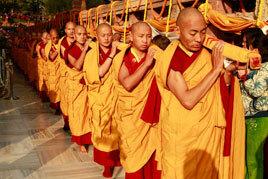 Gyaltsab Rinpoche to make arrangements to conduct the groundbreaking ceremony. 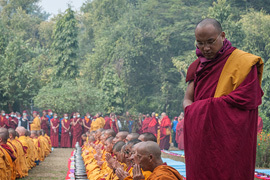 After the groundbreaking ceremony in May of 1982, Bardor Rinpoche directed the construction plans and activities, and labored each day to build the monastery. Bardor Rinpoche at work in Woodstock, New York on the construction of the Karma Triyana Dharmachakra monastery in 1982. In 1983 and 1984 Rinpoche visited Taiwan and Hong Kong where he taught the Dharma and was enthusiastically received by hundreds of students and practitioners there. During the years 1985 through 1987 Rinpoche spent many months in Nepal supervising the construction of Karma Triyana Dharmachakra's statues and ornaments: the Buddha rupa, the deer and Dharmachakra, the Gengura spire for the top of the monastery, and the Sixteen Arhats for the library shrine. He returned in 1988 with Tinley Chojor, who has since masterfully rendered traditional decorative painting of the monastery. 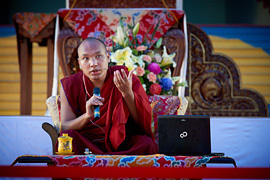 In 1989, Rinpoche was joined by his wife, Sonam Chotso and daughter, Karma Sonam Wangmo. The following January, on the concluding evening of a seminar on the Twenty-one Taras and just shortly after having given the Green Tara Empowerment, Rinpoche took his wife to a local hospital where his second daughter, Karma Chimey Chodron, was born. 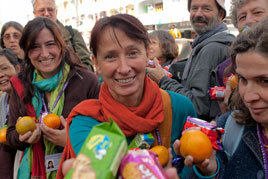 Within two years, his third daughter, Rigdzin Chodron was born. 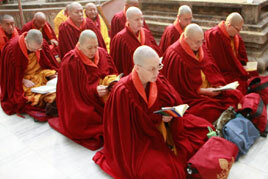 In 2000, for the benefit of Dharma students and with the blessing of His Holiness the Seventeenth Gyalwa Karmapa and His Eminence the Twelfth Tai Situ Rinpoche, Bardor Tulku Rinpoche established the Raktrul Foundation in Redhook, NY, with Kunzang Palchen Ling as the dharma center under its auspices. Guru Rinpoche (Padmasambhava) was the teacher of Nupchen Sangye Yeshe, an early incarnation of Bardor Rinpoche. The First Bardor Rinpoche, Jikme Chokyi Senge, was born in 1836 and passed away in 1918. 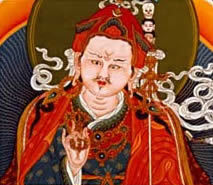 He was the reincarnation of Nupchen Sangye Yeshe, one of the twenty-five great disciples of Guru Padmasambhava. He was a terton (finder of hidden treasures), and became the First Bardor Rinpoche when Guru Rinpoche gave him the name "Barway Dorje" (Blazing Vajra). He established Raktrul Monastery in Kham, East Tibet, toward the end of his life. The spiritual biography of the First Barway Dorje has been translated into English by Yeshe Gyamtso and published by KTD Publications under the title the Precious Essence. 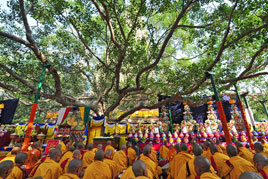 The Second Bardor Tulku was born in Kham, East Tibet, with the family name of Yi Mar Pon Tshang. 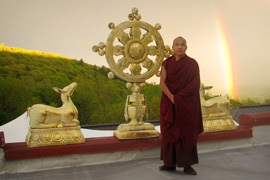 He spent his early years at Situ Rinpoche's Palpung Monastery. 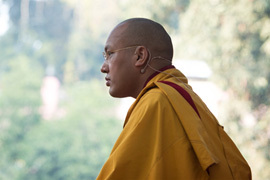 Later, he served for many years as the Appointment Secretary to His Holiness the Sixteenth Karmapa at Tsurphu Monastery. 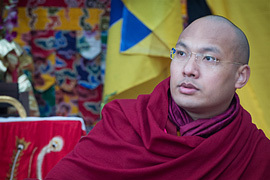 Because the monks at Ratrulgon Monastery sought Bardor Rinpoche's help so insistently, His Holiness Karmapa gave him permission to return there for one year. Once there, though, his duties were of such proportions that his stay subsequently lasted several years. Truly regretting this delay, Bardor Rinpoche prostrated along the entire journey back to Tsurphu Monastery. Following that, Rinpoche remained in the service of His Holiness for some time, only to be again summoned by the monks of his Monastery. 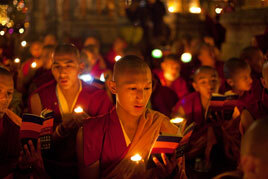 This time, while he was at Ratrulgon Monastery, the King of Nanchen petitioned him to perform many rites and rituals. Consequently, with this second journey and all that it entailed, Bardor Tulku Rinpoche was not to see His Holiness again, until his next incarnation. Also included in this section of the Web site is an explanation titled "The Meaning of the Name of Bardor Tulku Rinpoche."